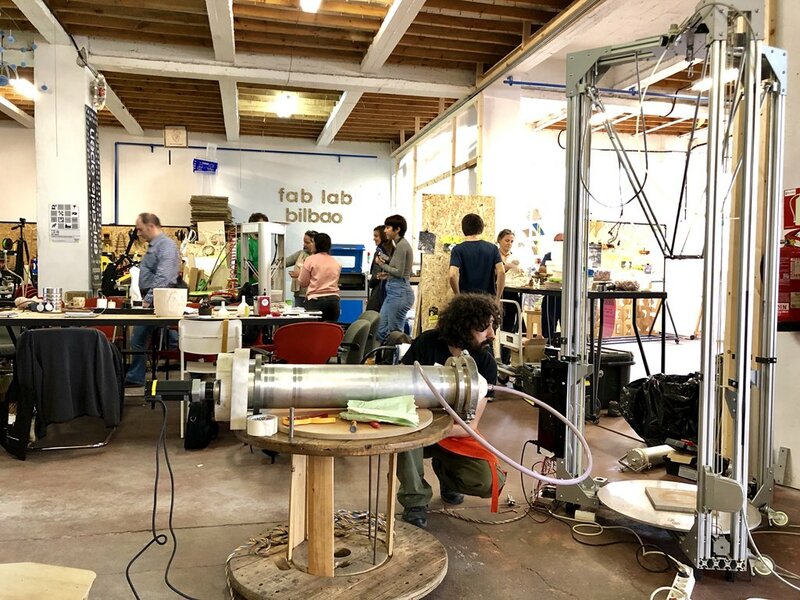 Are you a designer, artist or creator working with digital fabrication tools common in Fab Labs? ¿Want to travel free to Bilbao to design business strategies that will allow your project to grow with the help of stablished professionals from the Fab Lab ecosystem and exhibit at Maker Faire Bilbao? Do you create market oriented products? ¿Want to learn how to survive in the jungle? Then this might be interesting for you. Call is open until friday 19 october! The Project consists in two intensive mentoring sessions created to help designers, makers and emerging talents in their steps to create business strategies which are adapted to the new contexts of manufacturing and product sales in creative and cultural industries linked to Fab Labs and the Maker movement in general. A total of six selected projects will go to Bilbao, with travel and accommodation and expenses paid, to receive mentorship from an interdisciplinary team to help them design a strategy and narrative that will help them surf successfully the digital wave. They will also exhibit in Maker Faire Bilbao 2018.